This research paper is a look at the military career and significant accomplishments of Chief Master Sergeant Michael I. "Mike" Lampe. 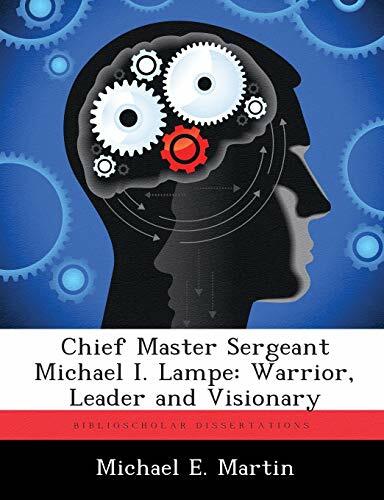 The intent is to convey the impact Chief Lampe had on the strategic objectives of the United States while serving in the United States Air Force (USAF) as a Combat Controller over a twenty-eight year period. First, his innumerable successful exploits on the battlefields around the world through the application of precision fires and precision assault enabled the U.S. to achieve national strategic objectives through his tactical employment. Through this historical and biographical account of his superlative work from Southeast Asia to United Special Operations Command, there is no question about his courage and commitment. He routinely demonstrated both characteristics throughout his career and had a positive impact on Special Tactics and Special Operations. Lastly, you will gain an understanding and appreciation for his strategic vision at all levels of leadership and ability to rally consensus for the betterment of unit, mission and men.